. 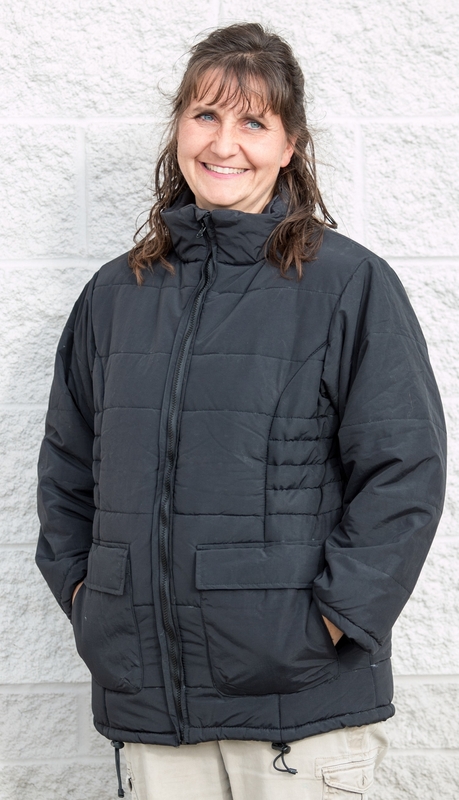 The Oregon jacket has a water resistant shell and warm polyester insulation. There are three drawstrings on the waist and torso area so you can adjust the coat just right to keep drafts out. 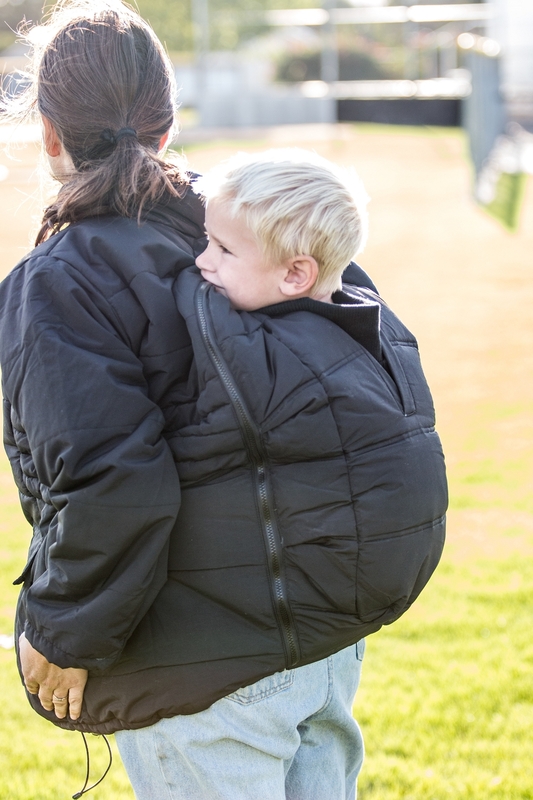 It is designed to be light and warm and looks great with or without baby.